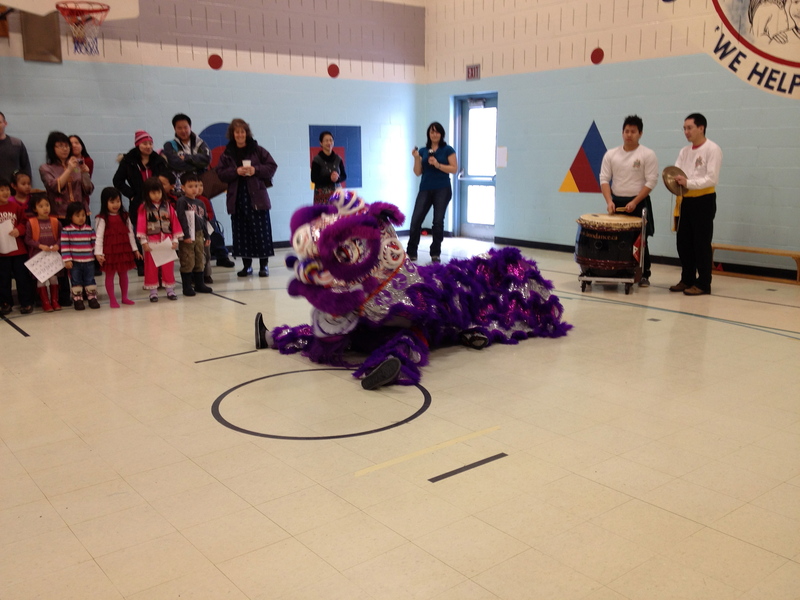 It’s been a hectic week with the Chinese New Year celebrations. 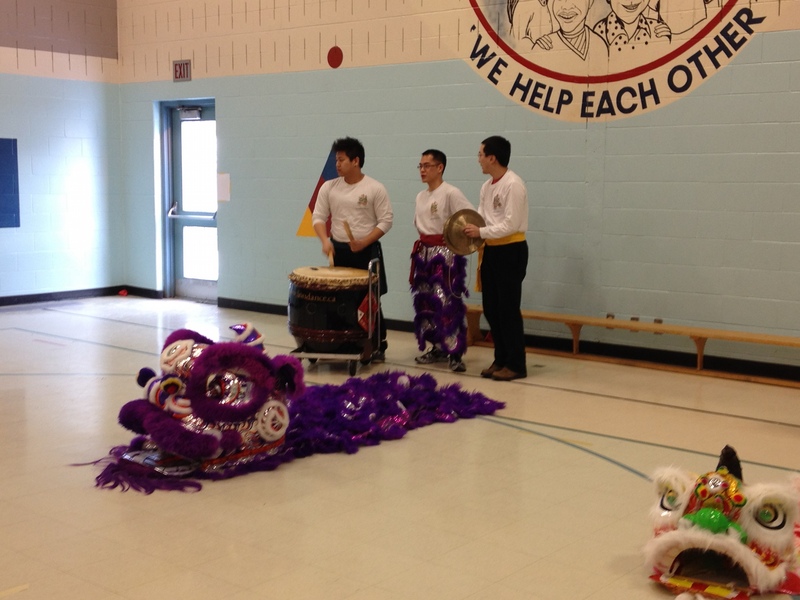 On Saturday, there were several performances from Chinese schools to a high-end retail store. 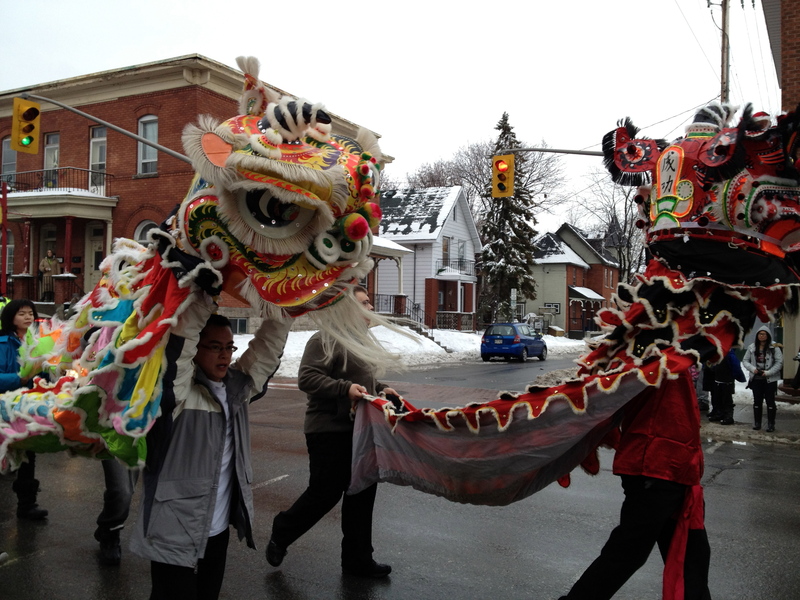 The highlight was at Ottawa Chinatown for the Chinese New Year parade. 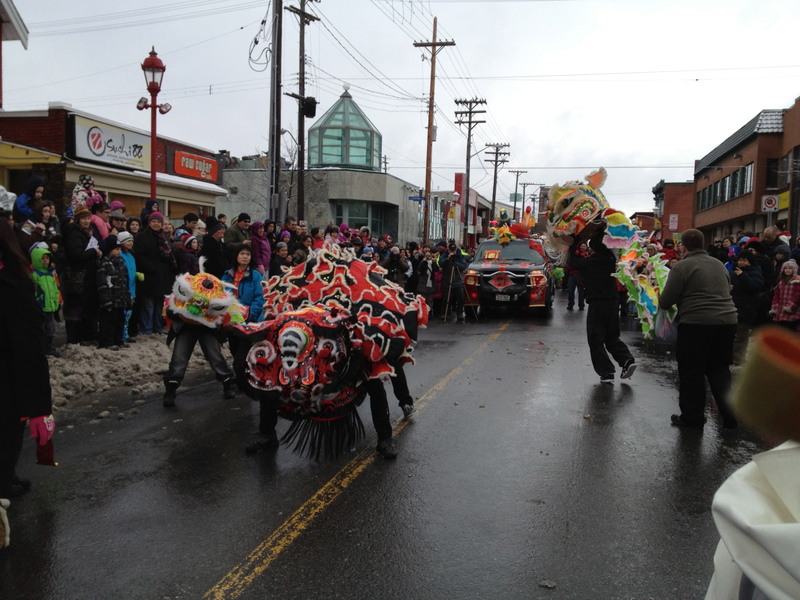 The lions and dragons roamed through the local business in the area. The exciting part was the crowds gathering at the Ottawa Chinatown Gateway. 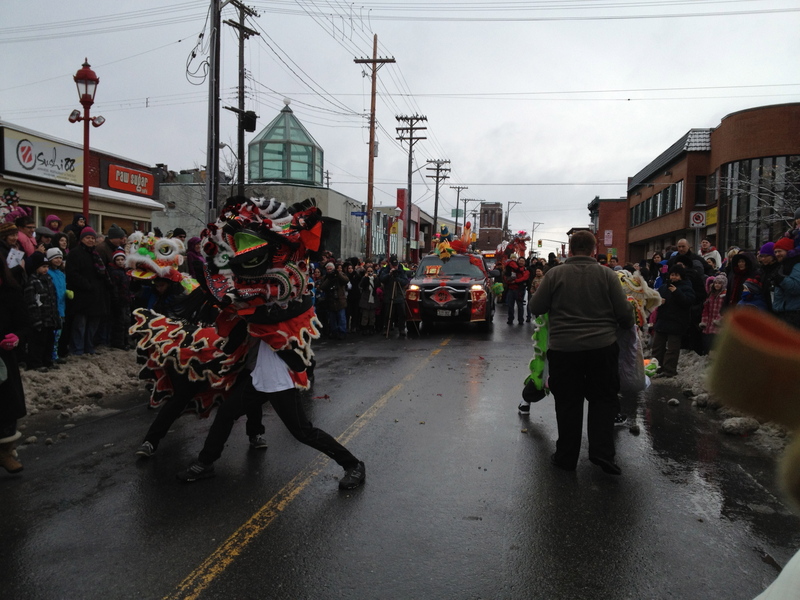 As usual with the parade in Chinatown, loud firecrackers lit up several times. What was good this year was CKCU-FM taking part in the festivities. 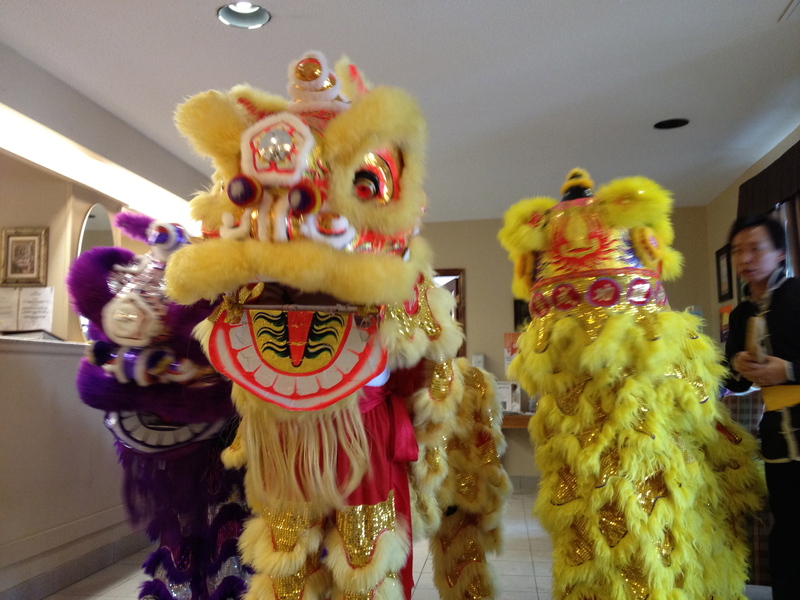 They were at the Raw Sugar Cafe as the CKCU hosts and volunteers soaked in the Chinese New Year atmosphere and the gateway being close by. The weather was pretty good as we did not endure cold frigid conditions. On Sunday, the last full performance was at T&T Supermarket. 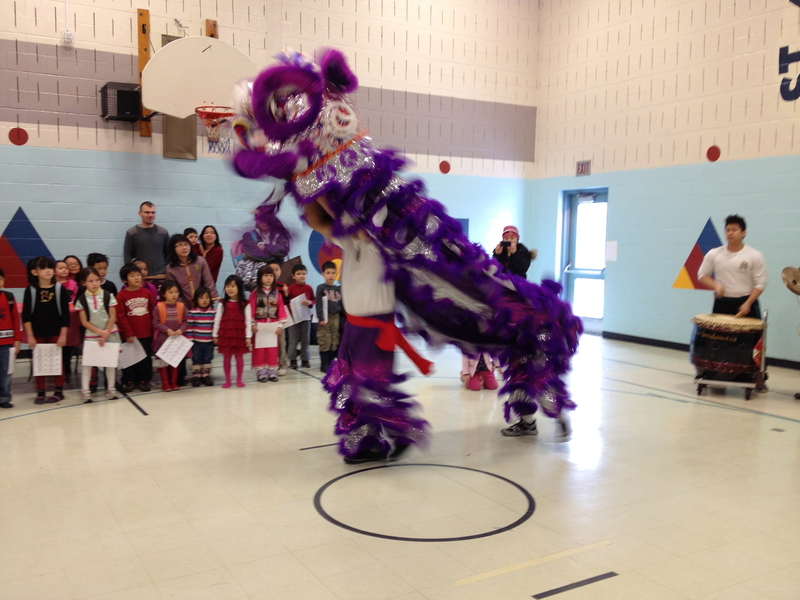 Instead of using a lion, our lion dance troupe only used a dragon. 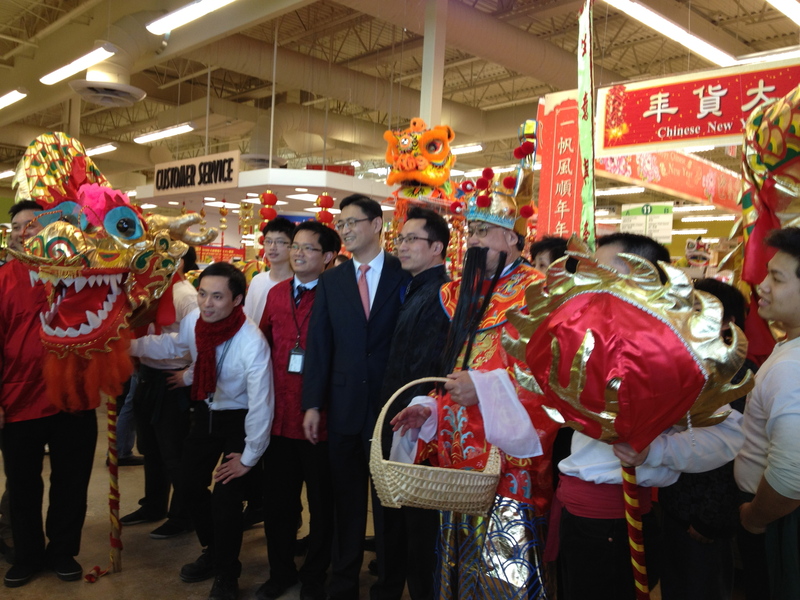 The occasion at T&T Supermarket was an ambassador coming by and greeting the customers around the store. It was almost chaotic as we were short of people to help out on the dragon. It was a close call and got through the performance and through the crowds of people at the beginning. Overall, the performances were good and tiring. Let’s hope that the year of the dragon will make it prosperous and lucky for everyone. 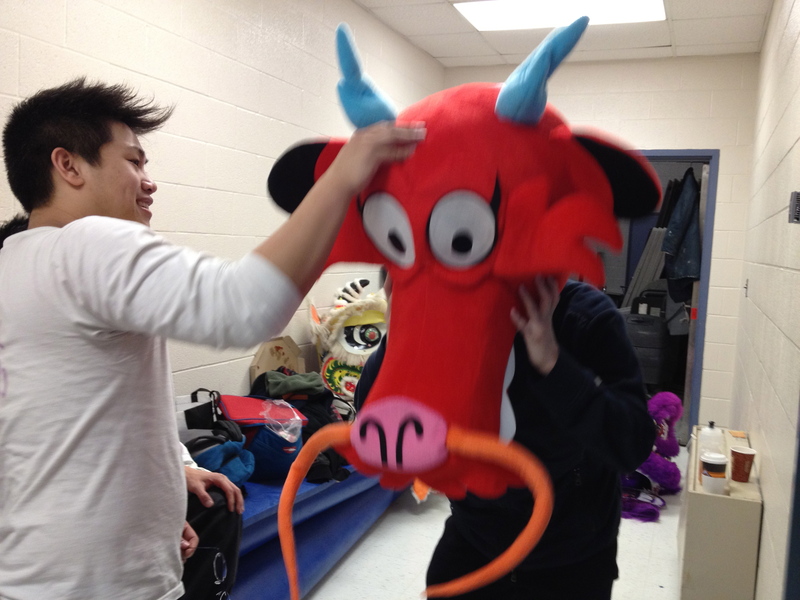 Check out the photos and there’s one funny photo where I tried to put on the mask of the Dragon. 2012 should be shaping to be a great year as it’s the year of the dragon. The dragon brings power and luck for anyone who’s born. 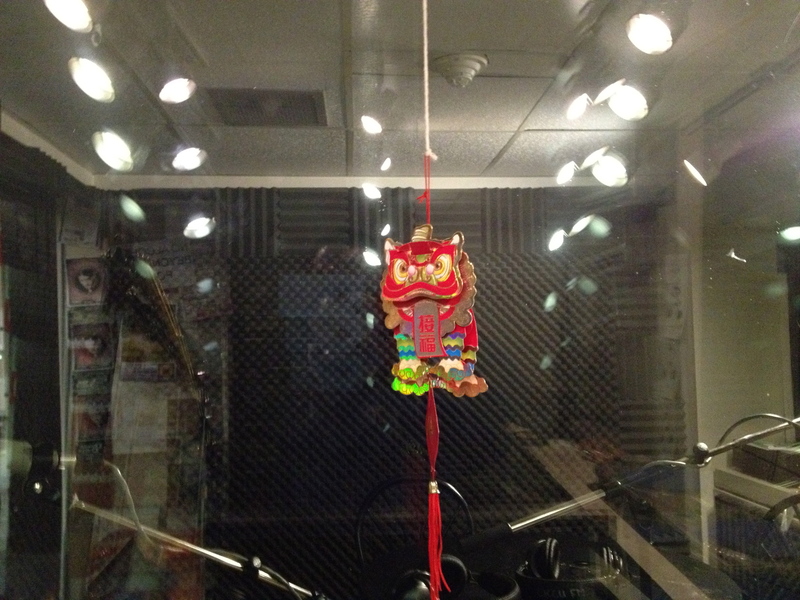 There’s a bit of decoration at the CKCU-FM on-air studio with the red envelopes and a cute lion or dragon hanging on the window. This year’s music theme on my show happens to be songs with “dragon.” It was quite a rush job trying to find certain song names with dragon in it. 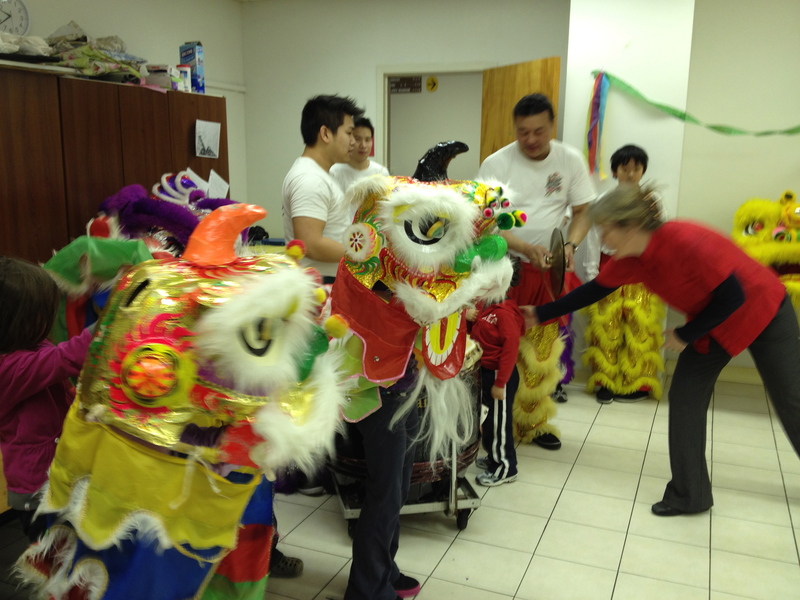 As usual, Lauren joined for the second year and got immersed with the Chinese New Year culture. 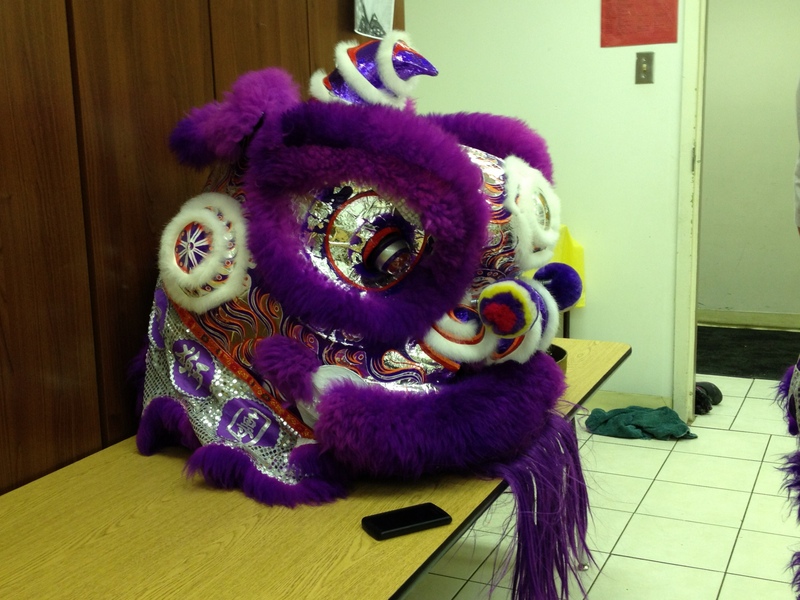 The new CKCU Volunteer Coordinator, Chris White came on the show to talk about CKCU’s participation for the Chinese New Year celebration on Ottawa Chinatown for Saturday, January 28th. 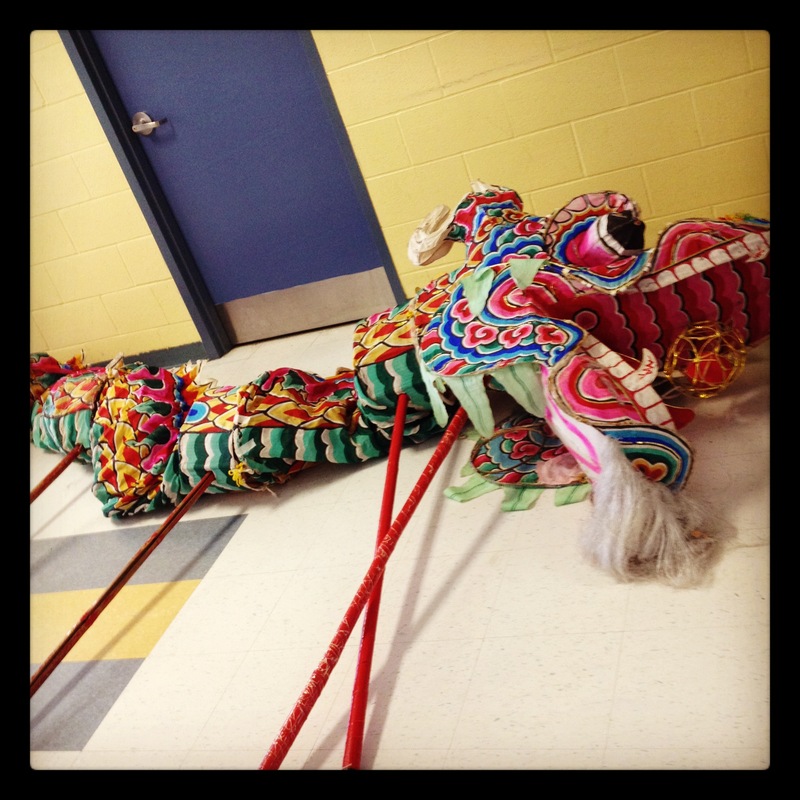 There will be a lion dance performance and CKCU will be at the Raw Sugar Cafe to join in the festivities. CKCU hosts from China Album and The Mix and others will be at the Raw Sugar Cafe. Drop by and say hi to them. 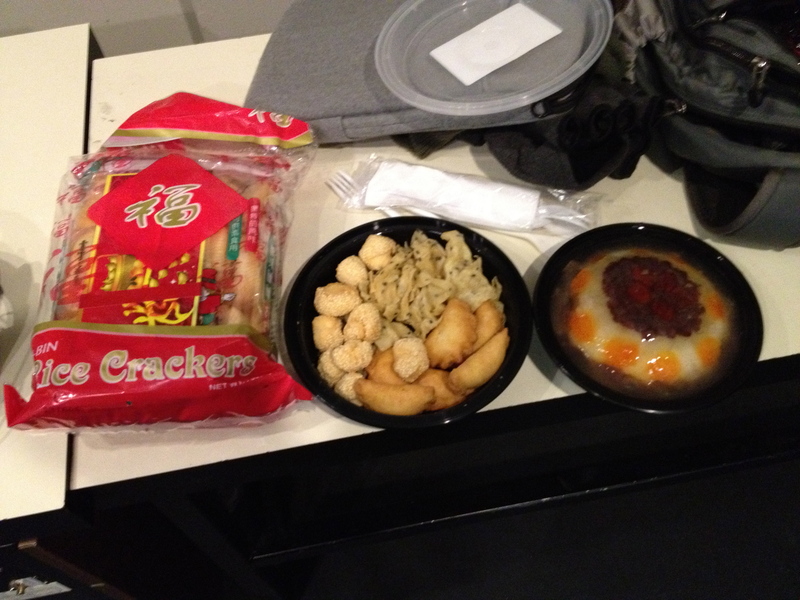 Another part to this year’s CNY show was bringing some food. There were rice crackers, some New Year food mix and a rice cake. You will see the photos from below and then a few photos from the performance on Monday, January 23rd, the start of Chinese New Year. The playlist to the show (including the podcast to the first part of the show) is at this link. The Wild 10 Countdown summary is posted at this link. The full January 25th show – Press play to listen. Do I really need to blame anything that happen on Wednesday? 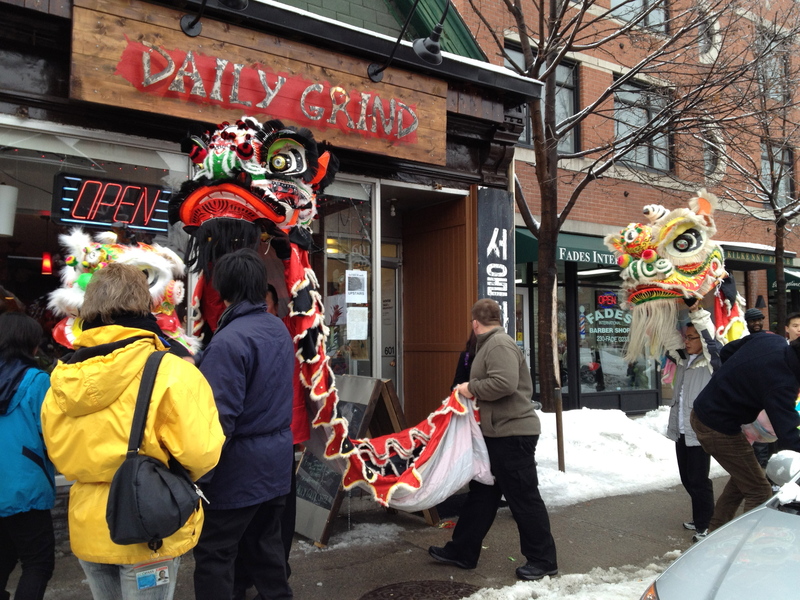 It was certainly a crazy day as so many things happened with a morning lion dance to enduring morning traffic and certain websites going down due to an online protest. I didn’t get too highly involved because of the hectic morning and of course, the radio show. I am in support against SOPA because I post materials on my blog and I do worry about getting in trouble because of copyright laws and other factors. Aside from that, I could bring a blame on the Chinese lion because I had to delay part of my radio/podcast show. The live radio show was a farewell to a favourite TV show, Chuck. Although, the series finale airs on January 27, 2012, it got pushed up a week because of the Chinese New Year themed show. The songs I picked were my favourites and people who are not familiar with Chuck would be surprised that certain Canadian indie bands were played on the show. There was a segment from an unaired interview with In-Flight Safety, which was recorded in the Summer of 2010. It was with the front man of the band, John Mullane as we chatted about their song being used on NBC’s Chuck. Hope you enjoy this week’s shows. After the farewell to Chuck edition, it’s The Wild 10 Countdown as there are a couple of new entries. Before you listen to the audio, the playlist from the January 18th show is at this link. The Wild 10 Countdown summary is over at this link. Exciting news! The WildWorks Station is on the shortlist for the 2011 Canadian Weblog Awards nomination. The blog is in the category for Best Weblog About Music. It’s nice to get support from friends as they were happy that I got on the shortlist. Thanks! The January 18th Show – Press play to listen. The January 19th Show (The Wild 10 Countdown) – Press play to listen. Happy New Year! 2012 is now here and 2011 was an interesting year to say the least. From protesting to occupying and a lot of elections, there was so much craziness happening around the world. Aside from that, the music in 2011 was pretty good as indie music continued to be strong as Arcade Fire won every awards and seeing the rise of new bands and artists from the likes of Cults and Lana Del Rey. The radio show to begin 2012 was a wrap-up to my best of 2011. The top 11 of 2011 time is the non-Canadian indie music. There were a good variety of indie music outside of Canada. My top 11 were my favourites throughout 2011. One song (and album) in the top 11 was technically released in 2010 but it was released in North America in March of 2011. There was the return of the Wild 10 Countdown as it resumes from the holiday. Expect to hear new Canadian releases in the months to come. You can check out the playlist at the link. The Wild 10 Countdown beginning 2012 is posted at this link. What began 2012 was getting my MOO Minicards. You can see it from the photo on top. Have a good start to 2012! The January 4th Radio Show – Press play to listen.